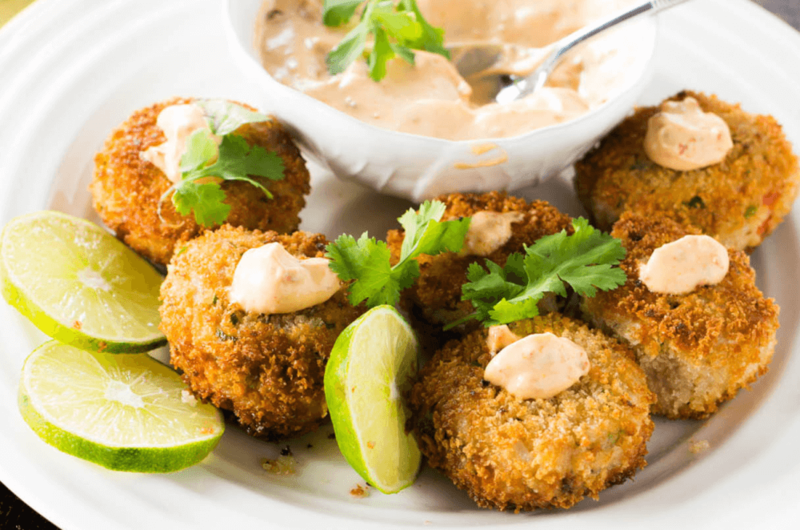 These tuna fishcakes are nutritious and kid-friendly. They are quick and easy to make. You can use leftover mashed or boiled potatoes to save even more time. Tuna fishcakes make a nice dinner served with mashed potatoes or rice. Perhaps also serve green beans or broccoli on the side. Offer tartar sauce, ketchup or mayonnaise too. Some people might prefer mustard or salsa. As well as the tuna you will need potatoes, corn and peas, cheese, breadcrumbs and egg. If the mixture doesn't seem to be holding together you can chill the tuna fishcakes in the fridge for half an hour. Another idea is to mix in a little flour or some dry breadcrumbs until the consistency is right. Also ensure the tuna is really well drained. 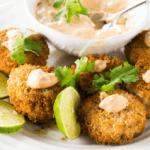 You will find these tuna fishcakes really easy to make. Feel free to switch the corn and peas for other vegetables if you prefer. Or add why not add some dried parsley or oregano to the mixture for an additional flavour layer? Something else you can do is use salmon instead of tuna or even a tin of each. You can also make this recipe with leftover cooked fish fillets which need to be used up. Drain them and let them cool. Cook the corn and peas. Now put the potatoes, corn and peas in a blender. Transfer the potato mixture into a bowl. Mash in the cheese, tuna and salt. Shape into 8 round cakes. Dip them into the egg then the breadcrumbs. Shallow fry for 5 minutes or until golden brown.